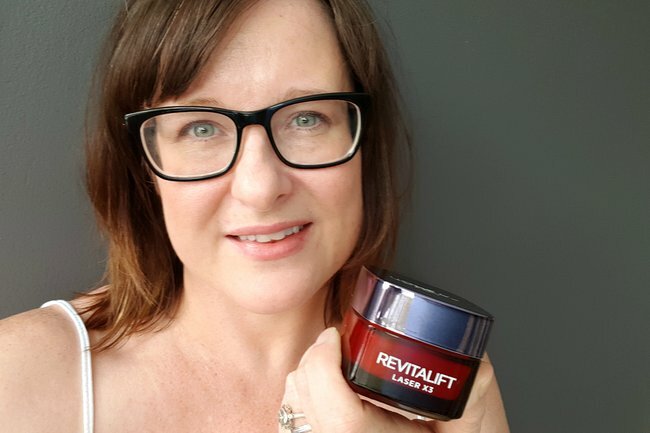 L'Oreal Revitalift Laser X3 review: the one jar wonder for mature skin. When you look at articles about what skin type you are there are usually four different options like normal, dry, oily and combination, mine doesn’t really fit any of them. I’m white but with a fair amount of Irish ruddy red. I’m dry to the point of having visible flaky skin on the end of my nose but also so oily that by the end of the day if I wipe my fingers across my forehead it’s like I’ve touched the bottom of the frying pan. I also get small breakouts of eczema on my cheeks. I also still get hormonal pimples every month on my chin even though I just turned 40. Fit that into one of your four skin types I dare you! So because I’ve found it so hard to find a moisturiser that handles all of that, I’ve been pretty reluctant to try anything I don’t usually use. What if a particular fragrance sets off my eczema? What if it sits on my skin and makes me look like an oil slick or what if it’s perfect but so damn expensive I can never afford it? When I was asked to try out L’Oreal’s new Revitalift Laser X3 (RRP: $44.95) I was equal parts excited and terrified. As soon as I opened the jar and smelled that amazing (I can only describe it as a greenhouse full of orchids) fragrance I was convinced it would definitely end in me with big red itchy patches. Let&apos;s give this baby a go. Image: Supplied. The Day cream was promising me an “intensive anti-ageing experience that will correct re-densify and re-support my skin with hyaluronic acid and concentrated pro-xylane”. First of all, what the hell is pro-xylane? (note it is not a professional xylophone player) We’ve been hearing about hyaluronic acid for years and I feel like we’re comfortable with its water retaining qualities but this is the first time I’d come across pro-xylane. So I did what any self respecting woman in her 40s does - I Googled it and found out that it’s a sugar protein hybrid made from a sugar found in beech trees. This little guy stimulates your glycosaminoglycans, the molecules who are responsible for defending your skin against water loss by building up the extra cellular network in your skin (the scaffolding between your cells). So between the two, they’re bringing in the moisture and then locking it in there, preventing sagging. On day one I popped it on after I’d cleansed with micellar water and it felt nice and light, not greasy and that smell… so delicious! My husband liked it so much when he came and gave me a hug he asked if he could use it too. Yep, now I have to give my man regular facials. I only needed a tiny blob too - a little went a long way. I can always tell if a moisturiser is working for me by the way it sits under my makeup. When the foundation goes on does it slide around on top of the cream or sit nicely? In this case there was an even tone to my foundation, so far so good. By the end of the day I was still a little oily on my forehead but my nose and cheeks were looking great and even though there is a strong fragrance - no eczema break out. 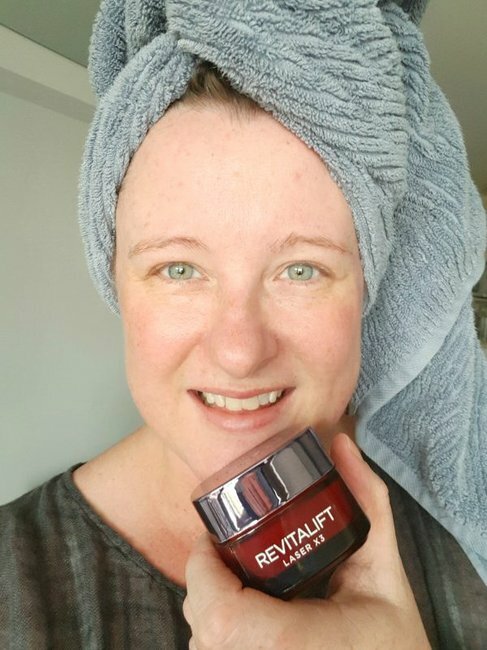 I also get up at a ridiculous hour to start work each day so my under eye bags are a prominent feature for me, a few days into using Revitalift X3 and they were still there but noticeably smaller (they also have an eye cream especially for that, which I&apos;m yet to try). I also tried the SPF 15 version of the day cream (RRP: $47.50) for the days I knew I would be spending more time outside. The sunscreen moisturiser I normally use I have to be careful not to get too close to my eyes because that stuff stings so I was pretty happy that this didn’t seem to be the same. It also felt light and by the end of the day, my makeup remained securely in the same place I put it when I got up that day! 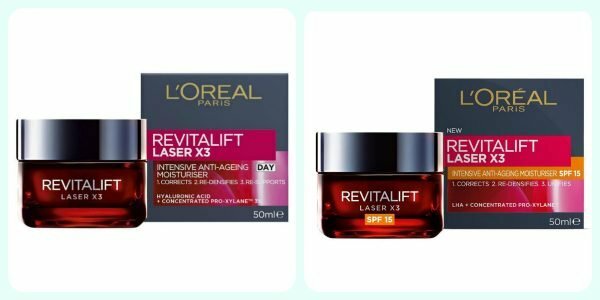 The L&apos;Oreal Revitalift Laser X3 day cream and the SPF 15 version. Image: Supplied. I’ve been regularly using a day cream since I was in my 20s so I wasn’t expecting an immediate anti-ageing effect, but what I did notice was the amount of times I touched my face and it felt smooth, like really gorgeous smooth. For a day cream that retails for under $45, this one is punching above its weight and it smells divine too. 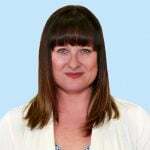 Listen to Claire Murphy tackle the news of the day, every day, on Mamamia&apos;s morning podcast The Quicky.